Add to your cart a gift card and receive it to your home address or to the address that you will enter. 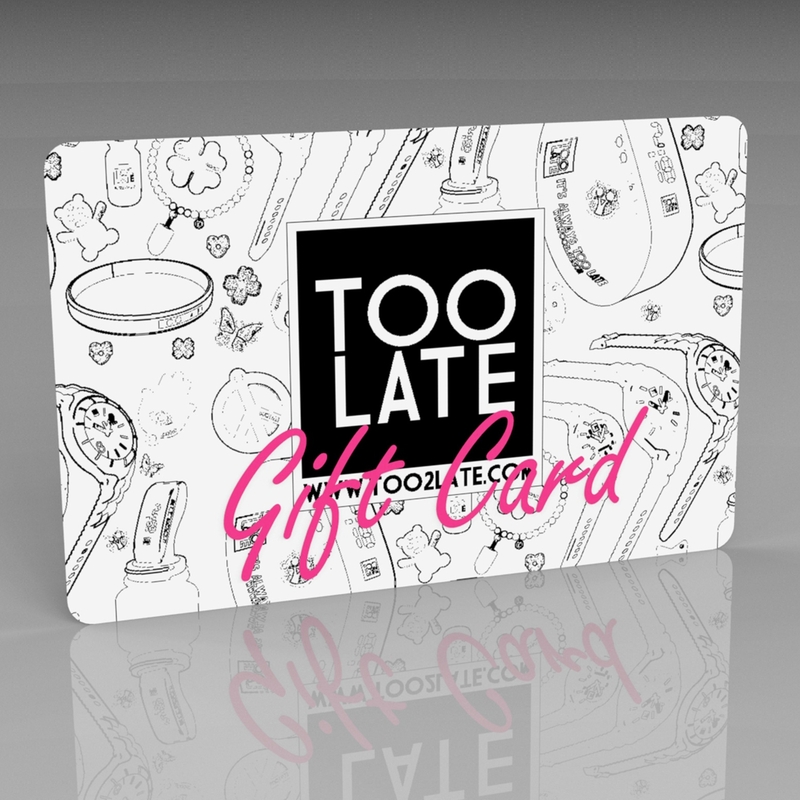 Don’t forget, the gift cardcan be only used on the website www.too2late.com and is valid for 12 months. The TOO LATE GIFT CARD is a card that gives the recipient complete freedom of choice of products to purchase. The amount of the gift card covers the entire order, including shipping costs, and can be used for different orders while the credit lasts. The card is not registered / linked to a name, so you can buy it and then give it away to a friend. For all details on how the gift card works, click HERE.